This program offers you the basics needed to be a fluent and organized speaker, so that it becomes easier to achieve familiarity with learners, convince others and influence them, in addition to dealing with unexpected situations and questions. This program also works on helping experienced trainers and speakers to master their skills in delivery and presentation. Moreover, you will learn what the expert speakers do to create an inspiring and actuated speeches, how they use imagination and inspiration and increase pleasure in the classroom in addition to dealing with difficult learners and many other things. All of this through models providing you with procedures adopted gradually, in addition to creative ideas and techniques. 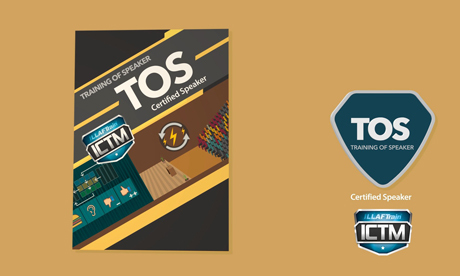 This program is directed at trainers, teachers, speakers, training designers and all administrators who want to develop, enhance and master their presentation skills. Meet the five needs of the audience. Improve body language skills in diction. Use twelve techniques to build his self-confidence for being a speaker. Prepare the speech by using simple steps. Distinguish between the three types of noise in the class and deal with them. Use the “4S,s Strategy” for developing the main ideas. Distinguish between the three influential models and others. Build three types of speaker credibility. Refute the arguments in four smart steps. Seven simple steps for the speeches preparation process. Fifty questions helping you prepare your first speech. How to use you appearance in front of learners. How to design the persuasive speech that influences the audience’s positions. How do you push audience to change its behaviors.